Global Photo Associates is a Japanese production company located in Los Angeles. 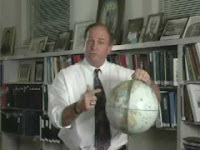 In November of 2006, they featured Dr. Agnew discussing the upcoming North Pole Inner Earth Expedition. That documentary aired in May of 2007 in Japan in the Genes of Galileo science documentary film contest, which featured 20 different subjects and producers. The North Pole Inner Earth Expedition won the $10,000 First Place with more than 16,900 votes and a 9.5% market share on the Nippon Television Network. That translates to more than 17 million viewers who watched the documentary on the first run. Phoenix Science Foundation sponsored Part One of the pre-NPIEE documentary with on-location footage filmed in Tibet and Mount Shasta. The 30-minute video (To Download : Right Click & Save Link As) was completed in June of 2007 and is in great demand, especially when Dr. Agnew speaks at national conferences. The science is real. The story is more than 5,000 years old. At a certain place above the Arctic Circle, there exists an oceanic depression. It's a place where sea level isn't level anymore. 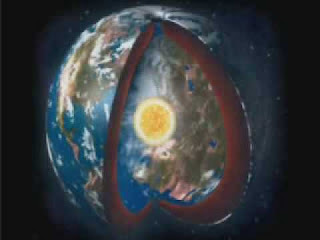 The discovery that the earth is hollow would forever shatter our long-held beliefs about how planets are formed. More importantly, however, discovering life beneath the earth’s crust could potentially provide us with new tools that would allow life on the surface to regain environmental balance, harmony, and possibly even peace. These prospects make the North Pole Inner Earth Expedition the greatest expedition in the history of the world.